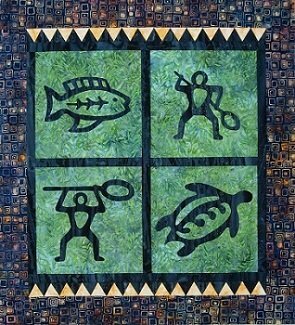 Paddler's Petroglyphs measures 32" x 36. The petroglyphs are made using reverse applique. Advanced Beginner.